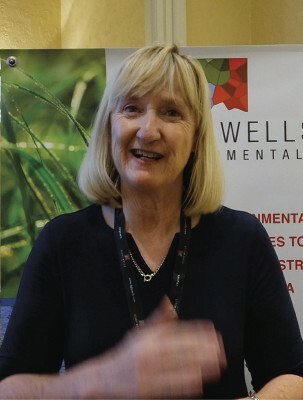 One of the leaders in this message of sustainable mining is the knowledgeable Dr Jenny Broadhurst, Chief Research Officer at the Department of Chemical Engineering, University of Cape Town (UCT). She has 30 years research and development experience in the field of mineral’s beneficiation and in various industry and academic organisations. Since joining the Department of Chemical Engineering at UCT in July 2001, she has been involved in a number of research and capacity development activities relating to the environmental and other sustainability issues of relevance to the coal-based power generation and primary metal production industry sectors. Such activities include project management of the Minerals to Metals Signature Theme, and co-supervision of undergraduate, postgraduate and contractual research projects, while also being involved in the development and presentation of undergraduate (4th year) and postgraduate (MSc) courses pertaining to acid rock drainage and environmental issues in hydrometallurgy. Have you seen an improvement from mining companies taking sustainability more seriously? Well, yes I go back 30 years with the industry so I’ve seen huge developments. There’s huge awareness within the mining industry and a commitment to reducing their environmental footprint to contribute to the sustainable development of the communities in which they operate. These are complex issues, the mining industry is still struggling to find its feet–traditionally it’s hundreds and hundreds of years of working very much within the fence you know, and anything that happened outside of the fence was not their issue and, of course, pollution and the other issues cannot be contained. There’s all these socio-economic and environmental issues that are crossing the fields, and the mining industry are still battling with granting licenses effectively. They have to deal with a lot of challenges and there are still a lot of issues around the heterogeneous nature of the communities, how far do we go, what we measure, and how do we communicate when there’s such an imbalance in power. So there’s a lot of issues around, and frustrations from the communities and even from government, lack of capacity, inability to understand the issues and distrust. The trust deficit is still an issue–they are really battling to overcome it, everybody is, and there’s even a lack of trust between the different mining companies, they don’t trust each other and they’re operating next door to each other. There’s still a tendency–and I could see this particularly in international organisations–for industry to pat themselves on the back and say how well they’re doing. They need a bit of wake-up, they need those antagonist who tell them that actually you’re not doing that well and there is still a need for more pro-activity. Do you think government sometimes comes in for unfair criticism from mining companies or are there key areas where it could be streamlined? Oh there are key areas where it can be streamlined, I feel that government is not coming under enough criticism quite frankly, they’re sitting with a foot in each fence and actually they’re not keeping anybody happy so they don’t know who they want to support. On the one hand they say they want the mining industry because they bring in revenue, and on the other hand it’s all about the people. They’re not supporting either very well, and it’s certainly creating a lot of tension. The one thing that the pro- and anti-mining lobbies have in common is their anger against government, so government is doing something wrong. And light at the end of the tunnel, where do you think that’s going to come from? Where is the light? The light in the tunnel is going to come from people really beginning to realise that they actually can’t rely on government, that there has to be collective action between businesses. You see the mining industry start to form collaborative partnerships with communities, with other businesses, because they are starting to realise that their viability, investor confidence etc, is actually dependent on their ability to get that social acceptance, which is a license to operate. That is where the pressures and drivers are coming from, so yes I know there’s a power imbalance, but actually communities have more power than they realise. They are changing the government. Is creating renewable energy on site and cleaner working ways offsetting the damage that mining does? Yes, there’s actually a lot of work being done around biological offsetting of degraded land, but I still think that we need to do things right from the beginning. However, offsetting is an option to bring balance. That’s why you need this broad perspective and this broad systems approach to these very complex problems, and that’s why mining operations need to get out of the hole that they dig for themselves and start to understand how they are interconnected to the broader environment. Mine closure is a big talking point, what are some of the innovative ways to approach mine closure? I’m very excited about the whole looking at mine closure from a regional land use planning perspective, which means that we can start to use that land more innovatively. I’ve had some conversations with mining companies where they talk about building solar plants on top of mine dumps as long as they’re benign. There are a lot of options in terms of using landfill–how we’re going to use that land in the future, who is going to own it, and who is going to take responsibility. Mining has the potential to really make a huge contribution in terms of skills and the infrastructure that they can provide and their capabilities, but they’re not going to be there forever so you need to plan beyond the existance of the mining. 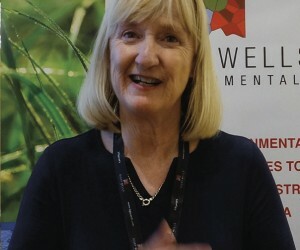 We need to take mining out of the centre and have everybody around them as players, because mining is the one player there and it’s not a player that’s going to be there forever, but it can have and often does have a significant impact on the surrounding environment and the communities so that impact needs to be managed. There are a lot of possibilities and it’s got to be linked to regional land use planning but this whole idea of rehabilitating, covering everything up with grass and leaving, is not the way to go. Education is obviously a key word, what’s the uptake at UCT for people wanting to get into mining-related fields of employment? Mining went through a slump, it became very unsexy, but we’ve seen a difference, we’re being pretty dynamic in our group in terms of bringing in all this new stuff, for example, drones and we’re partnering with electrical engineering. Yes, the internet things, the connection into the fourth industrial revolution, the circular economy. We bring all these things in and it’s very important that our students–even if those who are doing fundamental stuff–understand how this relates to the broader picture. All our students are required to say how their work relates to sustainable development paths and certainly within our particular environment at the moment there’s a lot of excitement. There’s also a lot of interest around what minerals to metals usage grouping is doing. We also send our students to law departments to do courses and to the Graduate School of Business. We want them to really understand how important mining is to the world, and how they can make a difference through their involvement in mining. The millennials want to make a difference to the world, so we’re providing them with the opportunity to do that. It used to be when gold got a cold South Africa got flu, we need to diversify, that’s very important. Mining must be seen as one of a number of opportunities to develop within the country. I do a lot of work on downstream beneficiation as well and it’s all a big job spinner but it can be very important in development skills. We need to develop other industries and we need to develop them in parallel with mining.